In this newsletter, you can read about our new EAGLE spectrometer products, a technical note on transmission grating angle sensitivity, and also our recently launched website. EAGLE is our new 822 – 978 nm high resolution spectrometer series for Raman solutions. 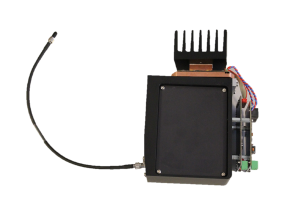 The EAGLE platform consists of compact, robust, and high resolution spectrometers, suited for OEM integration into industrial grade Raman systems at 785 or 830 nm excitation. The spectrometer uses a transmission grating to obtain very high and polarization insensitive throughput as well as a low stray light level. Optical resolution can be as good as 4 cm-¹ and the wavelength range of 822 – 978 nm enables 200 – 1700 cm-¹ or 600 – 2500 cm-¹ Raman ranges. EAGLE SWNIR supports both cooled and un-cooled BT-CCD detectors. We are often asked why our transmission gratings are so insensitive to angular rotation, and easy to align, compared to reflection gratings. Therefore, we have written a small technical note explaining the change in the deflection of the diffraction orders for reflection and transmission gratings when the gratings are rotated. We have just recently launched a brand new website with WordPress, and in doing so we have given it a more modern look and feel. You can, as always, find us at www.ibsenphotonics.com – where you can get usefull information about all of our products ranging from transmissions grating to interrogation monitors and OEM spectrometer modules. At our website, you can also download product sheets, request quotations, and of course contact us for more information.